You should feel comfortable using any product you buy for its intended purpose without fear of injury or danger. That’s because product designers, manufacturers, distributors, and retailers are legally obligated to ensure the products they are selling are safe, whole, and ready for consumption. If they fail to do so, the results can be harmful and even deadly. If you or a family member has been hurt while using a product, we may be able to sue for compensation via a product liability claim. This is one of the three basic theories on which a liability claim is based. Breach of warranty is based on contract law and doesn’t require proof of negligence or fault on the part of the manufacturer. If you are injured or your property damaged while using a product which didn’t meet the terms of its warranty, you likely have a strong case. 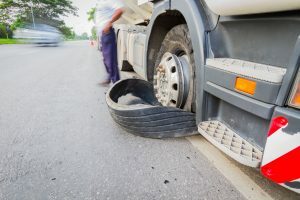 If you are injured because a manufacturer or seller didn’t exercise reasonable care in the design, manufacture, inspection or testing of a product, the responsible party may be held liable due to negligence. This means they did not complete the necessary safety checks or include adequate warning labels. Under the theory of strict liability, the injured party only needs to show that the product is defective due to design defects, manufacturing defects, or failure to warn defects that existed prior to the manufacturers release of the product. Failure to warn simply means that the product lacked a reasonable warning. The laws governing product liability can be complex. Oftentimes, the defendants in question hire corporate attorneys who specialize in discouraging your efforts to exercise your rights and have access to unlimited financial resources. We have been going up against these players since the 1980s and are not intimidated by their tactics. The Law Office of Cary S. Macy offers the experience needed to level the playing field and guide you through the product liability process with clarity. Contact our Huntington Beach office today at (714) 813-5433 to schedule a free consultation with our accomplished lawyer.